SINGAPORE: Selangor Dredging Bhd (SDB) is upbeat about the republic's private property market despite the economic uncertainties in the eurozone and the United States. Its communications and corporate affairs manager, Yeoh Guan Jin said demand for private residential properties here was still positive with demand coming from Singaporean and foreign buyers. “The property market registered 16% and 20% take-up rate for private residential properties in the first and the second quarter of the year respectively,” he said. Yeoh told StarBiz at a sales gallery showcasing SDB's latest freehold residential project in Singapore Hijauan On Cavenagh. He said as Singapore continued to welcome and attract affluent people and expatriates from all over the world, demand for private residential properties in the city state would remain good. Yeoh said with no restriction to foreigners buying private properties in the republic, investers could expect to fetch good rental. “With more Malaysians looking to invest in properties overseas, Singapore is the best place for them due to its close proximity with Malaysia,” he said. Yeoh added that the company was optimistic the project would receive positive response, similar to its Okio Residences project launched in the second quarter of 2011. Okio Residences a mixed freehold residential and commercial project to be built on a 0.2ha site at Balestier Road in district 12 had recorded about 70% take-up rate from Singaporeans as well as foreigners. The 18-storey apartment block consists of 104 units of one and two-bedroom units priced between S$660,000 and S$1mil and 10 units of retail shops and offices priced between S$1.5mil and S$4.6mil. Work on Okio Residences with gross development value (GDV) of S$102mil started in the third quarter of the year with expected completion in the last quarter of 2015. Hijauan On Cavenagh, located on Cavenagh Road in Singapore's prestigious district 9, will be built on a 0.18ha site that was previously Cavenagh Mansion with expected completion in the third quarter of 2015. “We are banking on the location of Hijauan On Cavenagh as the strong selling point to attract potential buyers,” said Yeoh. He added that it was just minutes away from the Somerset, Dhoby Ghaut and Orchard MRT stations and close to the Orchard Road shopping belt, education institutions and Central Expressway. Yeoh said the name reflected the greenery in a coveted green lung within walking distance from Orchard Road and a tree-lined passageway beside the Istana and adjacent to 25,000 sq ft of lush state land. The Istana is the official residence and working office for both the president and prime minister. The project will comprise a six-storey residential block of 41 high-end apartment units featuring five garden units with built-up area from 1,001 sq ft to 1,141 sq ft. The 28 typical units has floor area from 527 sq ft to 1,249 sq ft and eight penthouses from 463sq ft to 1,884 sq ft with each unit priced from S$1.3mil to S$3.5mil. “Being in a prestigious location and close to the Istana, property development projects along the area must adhere to certain rulings such as they should not be higher than the Istana,” said Yeoh. SDB's other projects in Singapore were the 22 units of low-rise condominiums called Jia at Wilkie Road with GDV of S$55mil completed in December 2010. It was also developing the high-rise condominium project Gilstead Two at Gilstead Road consisting of 110 units with a GDV of S$200mil and the project is expected to be ready in the fourth quarter of 2014. MELBOURNE: Through its property ventures in Australia, SP Setia Bhd aims to adopt the best practices from that market for its other developments, said president and CEO Tan Sri Liew Kee Sin. (From left): Setia Melbourne CEO Choong Kai Wai, Liew, Fulton Lane architect Karl Fender, Chor, Lee and Malaysian consul-general Dr Mohammad Rameez at the launch. “We need to blend in with the local environment that is important. When you go to a new place to invest, you have to learn first before you think about making money. You need to learn how things work,” Liew said at the launch of the developer's Fulton Lane property in the central business district here. The 487-apartment unit Fulton Lane, which comprises two residential towers and a retail podium, has sold about 80% of the first tower block and 30% of the second block. Set to be completed in 2014, the land was bought for A$30mil in March last year and has a gross development value of A$470mil. “I think Melbourne is a good market, but we will not be big here. We will start small, we want to understand the market and make sure we build a brand like how we did in Malaysia, which is a brand that people can trust. Although Liew maintained that the Malaysian property market was still SP Setia's main focus, the company was hoping for revenue from its overseas projects to hit 30% in five years. In his speech earlier, Liew said Melbourne had 30,000 Malaysians with permanent residence status, making it an attractive proposition for SP Setia. The first block in Fulton Lane has received interest from investors as well as owner-occupiers, primarily Malaysians. The second block, which is the taller of the two, has attracted the locals along with Indonesians and Singaporeans. SP Setia will also begin marketing the project in China in a few weeks, after similar excursions in Hong Kong, Jakarta and Brunei. SP Setia Melbourne sales and marketing manager Jeffrey Ong said there had been some interest from institutional investors as well, but this was at the discussion stage. On the proposed mandatory general offer by Permodalan Nasional Bhd, Liew said the state investment arm had come to an agreement with him and this would be reflected in the offer document that was to come from PNB. “This is subject to the Securities Commission's approval, and if it goes through, it will be in the offer document. That's why it was delayed. We want to play fair to all the shareholders and keep them fully informed,” he said. 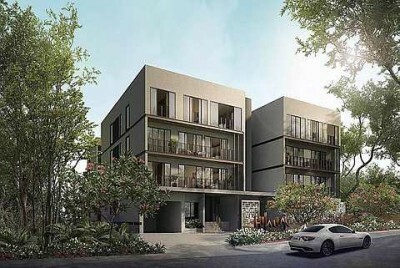 On SP Setia's plans for its 2.23-acre South Yarra land, also in Melbourne, Ong said it would have 329 apartment units and cater to local buyers. The A$250mil GDV project is still in the planning stage, and Ong said it was slated to be launched next year and would take some three years to develop. The launch was attended by Housing and Local Government Minister Datuk Seri Chor Chee Heung and SP Setia Foundation chairman Tan Sri Lee Lam Thye. PETALING JAYA: Low profile turnkey contractor Melati Ehsan Holdings Bhd is in the limelight again, this time for bagging a RM297mil contract to design and build residential flats for the Housing and Local Government Ministry's People's Housing Programme (PPR). Melati Ehsan was also in the news recently when it was reported that the company's massive RM1.62bil property development project with the Selangor State Development Authority (PKNS) in Kelana Jaya, Petaling Jaya (that will see it redeveloping the PKNS Sports Complex) would likely go ahead despite opposing views from the residents in the area. Yap holds an indirect 49.74% stake in Melati Ehsan. Little details have been provided about the RM297mil contract from PPR. The company said the contract had been awarded to its wholly-owned subsidiary, Pembinaan Kery Sdn Bhd, and that it had just received the letter of award. It said the contract would be split into two portions, with one part valued at RM82.1mil for the provision of 500 units of flats, while the remainder 1,600 units of flats would be built for RM215.9mil. The company also revealed that the properties would be built in Kuala Lumpur but with no further details of the locations. Going by the numbers revealed by Melati Ehsan in the announcement, it seems that it will be building the flats for between RM135,000 and RM164,000. The flats are expected to be completed earliest by 2014, assuming that the construction stays on its stipulated time line of completion of 30 months and 36 months respectively. Melati Ehsan has yet to reply to questions from Starbiz for details on this new award. Melati Ehsan's joint venture with PKNS is to redevelop the PKNS Sports Complex, which is 30 years old, and includes a field, six tennis courts and a clubhouse. The planned development by Melati Eshan and PKNS is a RM1.62bil sports-themed mixed development, with five 35-storey apartment blocks, two 15-storey business complexes, a performing arts centre and an integrated sporting hub. 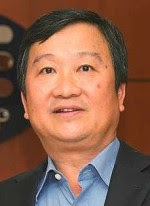 The company is helmed by managing director Tan Sri Yap Suan Chee, who has an indirect stake of 49.74% in the company. Melati Ehsan, which was listed in 2007, had completed mainly infrastructure construction projects like the Trans Eastern Kedah Interland Highway for RM287mil, and also two Carrefour hypermarkets in Kota Damansara and Bandar Tun Hussein Onn. Its other substantial shareholders include the country's pilgrims fund board, Lembaga Tabung Haji, which has a direct 7.28% stake in the company, and according to its 2010 annual report, Melati Ehsan's 30 largest shareholders collectively own 89.54% of the company. It is also involved in several ongoing residential housing projects in the Klang Valley, namely in Bukit Tengku, Bukit Jalil and also a mixed development in Pandamaran, Klang, which will comprise 501 units of residential houses and 320 shoplots, along with commercial areas covering 8.97 acres and industrial areas covering 6.92 acres. It has also completed housing projects in Kota Damansara, namely Bayu Perdana 2 and Bayu Damansara. In Johor, it has completed several phases of its development named Taman Ehsan Jaya and is still busy with the mixed development which comprises over 5,000 units of residential and commercial units. Listed at an initial public offering (IPO) price of RM1.28, the counter has not touched its IPO price since June 2008. Although still profitable, its earnings have been seen a slight decline. For its year ended Aug 31, 2011 (FY11), the company recorded a net profit of RM6.1mil on the back of RM86.55mil in revenue, while for FY10, FY09 and FY08, it had recorded net profit of RM5.47mil, RM12.69mil and RM18.9mil respectively. The company had cash balance of RM34.61mil as at the August 31, 2011 and its share price had been trading at the 80 sen range, below its net tangible asset of RM1.21. With a current market capitalisation of RM96mil, it is interesting to note that the recent contract it has secured is more than two times its market value. PETALING JAYA: Rahsia Estates Resort, Residences and Spa, a RM300 million development in Langkawi, Kedah, is eyeing additional land for future development on the island. The developer now has 6.89ha of land located near Kampung Temoyong which is some 15 minutes away from the airport. Work on its first phase will start next month. Chief executive officer of Rahsia Estates Sdn Bhd, Hanizah Tun Abdul Hamid said that it is already negotiating for an additional 1.62ha of land and is looking for more land in the vicinity of Rahsia Estates development. "We could possibly buy more land and we are open to forming joint-venture for our future projects," Hanizah said, adding that a likely partner would be one which has similar aspiration and passion for such a project. Rahsia Estates, which faces the Lake of the Pregnant Maiden, is promoting itself as an eco-tourism resort as it will be maintaining the mangrove in the area as well as some 0.81ha of forest within the resort. The resort's hotel will conform to the Green Building Index. It plans to invest in enhancing the fishing jetty for the local fishing community's benefit. The mixed hotel-residential development, expected to take three years to complete, comprises several precincts that will include both luxury villas and suites. Precinct 1, Phase 1 - Tree Top Villas - will have six main villas with a total of 50 units. Work will start early 2012 and is slated for completion in the first quarter of 2013. Rahsia Estates is looking at selling these units and leasing back at least 80 per cent of the units sold. Meanwhile, the hotel component with about 116 rooms to 119 rooms will not be sold. "Due to high material costs, we are expecting return on investment to take 12 years ... but we are working to push it to eight years," she told Business Times in an interview. Rahsia Estates' plan is to sign a management contract with a resort manager that will run both the hotel and the villas. The hotel, Hanizah said, is likely to be a four-star as several recent new hotel announcements on the island have been in the five-star category. The developer, which is already in talks with several hotel operators, is keen to sign an operator that can deliver hospitality as experienced in Bali and Thailand. "The Thais and the Balinese have perfected the art of hospitality," she said. Meanwhile, Phase 2 of Precinct 1 will see an addition of 50 villas, which will be developed at a later stage. Precinct 3 will have 32 Cabana Villas while Precinct 4 comprises 31 units of Tree Top Chalets. Rahsia Estates is a member of HD Concepts Consolidated Sdn Bhd group of companies. 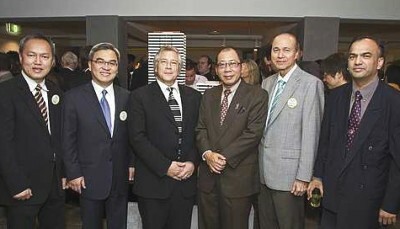 Riverbank Suites, Merdeka Plaza and the New Kuching Courts in Sarawak are among the developer's previous projects. GuocoLand (Malaysia) Bhd has proposed to acquire the entire equity interest in PJ City Development Sdn Bhd from GuoLine Asset Sdn Bhd (GASB) for RM29.785 million cash. PJ City is the beneficial owner of two parcels of land situated in Section 32 in Petaling, Selangor. The lands are located within Section 51A, Petaling Jaya next to the Federal Highway at approximately two kilometres south-west of the city centre of Petaling Jaya and 12 kilometres south-west of the city centre of Kuala Lumpur. In a filing to Bursa Malaysia today, GuocoLand said it has also proposed to buy PJ Corporate Park Sdn Bhd (PJ Corp) from MPI Holdings Sdn Bhd for RM258,000 cash. PJ Corp is the registered proprietor of the lands. PJ Corp owns two units of low-cost houses located in Masai, Johor. These houses are residual units from a housing development project undertaken by PJ Corp in the 1980s. The total audited net book value of these two low-cost houses as at June 30, 2011 was RM44,000. GuocoLand said the proposed acquisitions would enable the group to increase its land banks in strategic locations for future developments and to enhance its earnings. "As PJ Corp is the registered proprietor of the lands, the proposed acquisition of PJ Corp will enable the group to have better control over the administrative matters in relation to the lands," the company said. GuocoLand said that the proposed acquisitions are expected to contribute positively to the earnings of the group in future years.